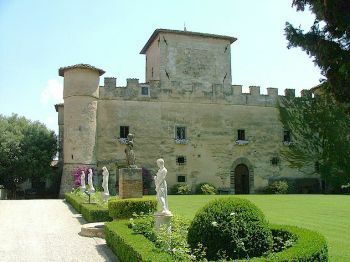 Tuscan wine tour of the Chianti vineyards and castles. This tour will take you through the heart of the Chianti Classico wine zone, the land of the black rooster, located between Florence to the north and Siena to the south. Your transport will be our comfortable minibus which is the most relaxing way to see the countryside without any worries about winery appointments nor road signs. And you’ll enjoy the expert commentary of your driver-guide while in transit and wine tastings with your personal sommelier. 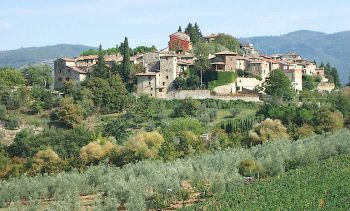 We will drive first to an authentic Chianti winery, a maker of excellent wine. You will taste a Chianti Classico, a Riserva and at least one IGT Super Tuscan wine, plus Extra Virgin olive oil. You will learn how Chianti wines are made and while walking through the vineyards you’ll see the characteristics of the principal Tuscan grape, sangiovese, and the particular soil of this region. In season, you will have the opportunity to taste sangiovese grapes directly off the vine. Here at the first vineyard on our wine tour, you will visit the cellars and receive a full explanation of the wines and other products (for example, Extra Virgin olive oil, grappa, vin santo). We will stop for lunch at a charming restaurant or, if we are lucky, at the vineyard itself, for a typical lunch "under the Tuscan sun". We will then move on to the second vineyard where you will be able to compare the Chianti wines, the Super Tuscans and a vin santo made in the style of a different winemaker. Our final stop will be in a mediaeval town (Greve in Chianti, Montefioralle or San Donato in Poggio) where we will stroll around to enjoy these pleasant villages with their narrow passageways, stone houses and churches. • 9.15 a.m. Departure from Florence. • 10.30 a.m. Arrival at the first winery and taste the wines. • 1.00 p.m. Light lunch at a local trattoria or at the winery. • 2.30 p.m. Drive through the hills where you can see the different types of vineyard. 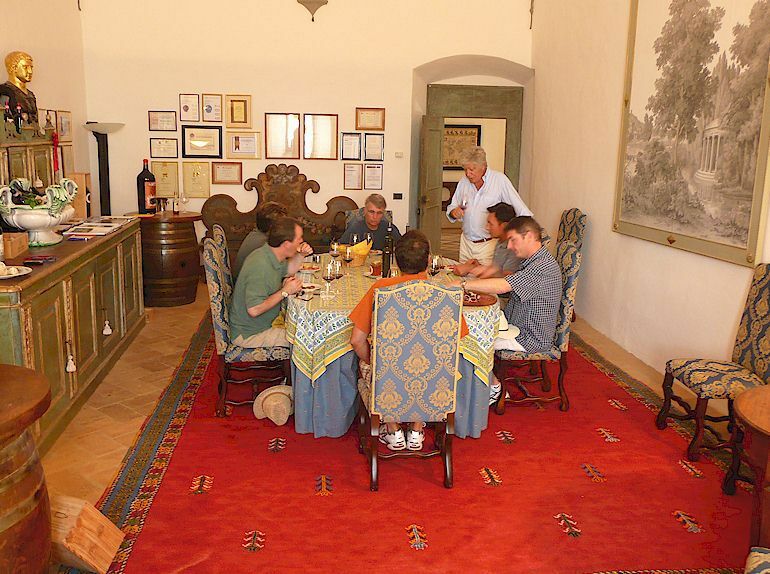 • 3.00 p.m. We stop at the second winery for the visit and wine tasting. • 4.30 p.m. A brief visit to a second village. • Return to Florence by approx. 5/6 p.m.
What time does the tour start? At 9.30 a.m.